Anyone who knows me even peripherally knows I’m a little bit obsessed with ‘chookens’. Specifically the former battery hens I’ve adopted so they could have a happy retirement (if you’re not familiar, you can follow along via the hashtags #operationchooken and #chookens). And anyone who’s ever seen me attempt to draw a chooken, which I have the tendency to do when I’m daydreaming in meetings, knows it’s a skill I’ve yet to master—I can only draw stick chookens and, bizarrely, only stick chookens facing left. Suffice to say, I was pretty stoked when a friend messaged me a picture of a book she spotted: Jean-Vincent Senac’s How to Draw A Chicken. It seemed a sign from the chooken gods: I’d maybe master drawing front- and right-facing chookens after all. Ordering the book sight unseen and without further research was perhaps a rookie mistake (my friend hadn’t looked inside it either, so couldn’t give me a summary), and my anticipation was arguably unfairly high. 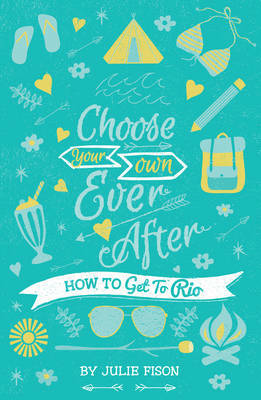 But Senac’s book turns out less to be a how-to guide than a book of whimsy. 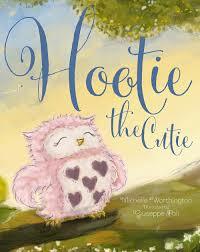 Or, as Kirkus Reviews aptly expresses it: ‘This book might as well be titled How Not to Draw a Chicken’. 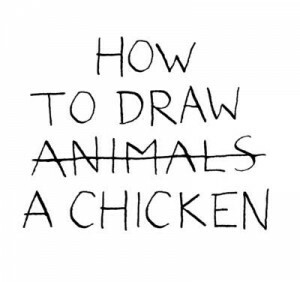 The simply and sparsely illustrated book, with hand-drawn black outlines on white paper, seemingly commences with instructions for drawing chookens. It tells us we’ll need a pen, a penholder, and a good pair of eyes. The next page instructs us to draw a triangle. Then a vertical line. From there, though, Senac departs from logical instructions, encouraging us to add legs to a beak before realising that the legs and beak will need to be separated in order to add a body. Not wanting to be separated, the legs and beak run away. We continue on in a muddle-headed fashion, drawing the body on its own, adding an egg, and then adding legs to the egg…you get the picture, so I’m sure I don’t need to go on. How to Draw a Chicken is undeniably cute and surprising in the oddest of ways. 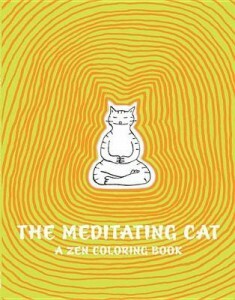 It is part of a suite of Senac’s adorably oddball books (including The Meditating Cat: A Zen Colouring Book; no, I’m not sure if it’s actually a colouring book, but I’d hazard a guess not). Which on the one hand heartens me: Someone both had such off-the-wall idea(s) as How to Draw a Chicken, which does something entirely different from what its title suggests, but also saw them come through to fruition and commercial legitimacy. 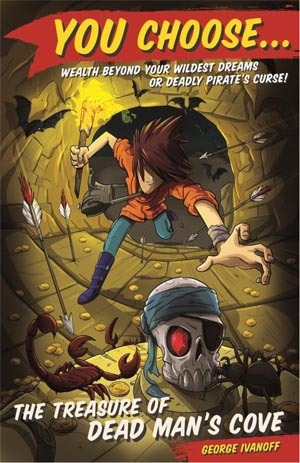 It’s seen Senac create such things as flipbooks, albums, notebooks, and online games. And his website, though in French and therefore incomprehensible to someone as non-existently fluent in the language as me, equally impressively whimsical. There’s even an animated man walking across the screen with a butterfly catcher. 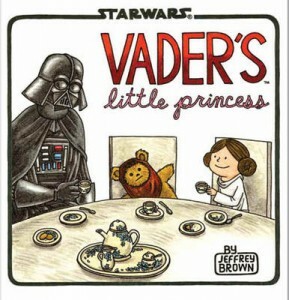 So, although I haven’t yet through Senac’s books mastered the art of drawing chookens, his work has piqued my interest. I’d recommend flipping through them (as I didn’t) before purchasing any, but even if you don’t, whatever you find contained within them will likely provide some decently quirky food for thought. I should also probably preface this blog with the acknowledgement I’m not sure I want to be reviewing a book I consider to be a little misinformed. However, I am trying to assess it objectively and fairly on its merits. For five years I’ve been turning up to doctors at various intervals reporting vague, flu-like symptoms that develop shortly after eating. For five years, no doctor has been able to entirely get to the bottom of it. More recently, one or two have conceded it sounds like an allergic reaction of sorts, but to what no one is sure—I can’t isolate it to one food or one instant. As a healthy-eating, active-living vegan, my diet’s pretty decent. And with negative results to the likes of coeliac disease and gluten intolerance and more, there’s little for me to pinpoint much less remove from my diet. But the symptoms get so bad they affect my ability to work, concentrate, and sleep. Suffice to say, I’ve been casting around the interwebs for solutions, as you do. Enter a recent suggestion I could be allergic to fructose, a form of naturally and unnaturally occurring sugar less friendly to our bodies than glucose, and one with which modern diets are positively packed. My symptoms don’t match the most common fructose intolerance symptoms, namely those of gut-related, irritable bowel ilk. But, without continuing to bore you with medical details, let’s just say I’m desperate to fix this. So I bought a book about quitting sugar written by a TV personality turned self-proclaimed health and lifestyle guru. 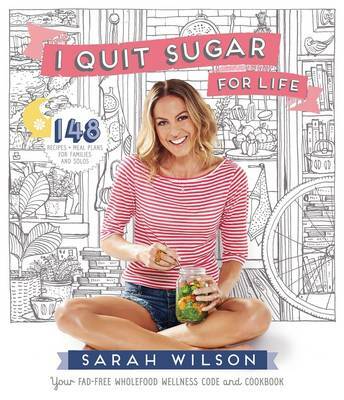 Sarah Wilson now has two sugar-quitting books out, and I skipped straight to I Quit Sugar For Life, the sequel to I Quit Sugar. Forget the semantics that if you’ve quit something, you’ve presumably quit it permanently and therefore shouldn’t require a follow-up book with the addendum ‘for life’. I figured anything I could glean might be handy. 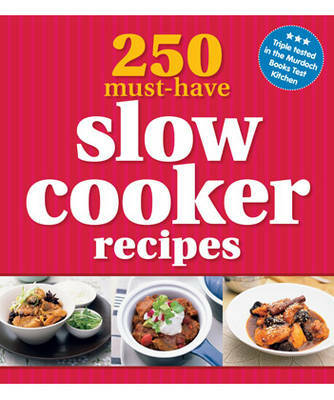 And, to be fair, there are some handy bits to glean: I Quit Sugar For Life is prettily laid out. The designer charged with its layout and the editor who oversaw it clearly understand communication design. Call-out text meets infographics meets tables and visually arresting images, texture, and colour make this book one you happily want to pick up and flick through. It’s kind of magazine meets coffee table book in its approach—something you can flick through and pore over in equal measure. 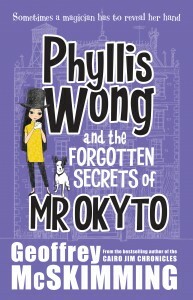 Wilson is also skilled at delivering information in accessible, memorable terms. For instance, she cites a friend who likens fat to being a long-burning log thrown on a fire, and sugar being a fast-burning paper or kerosene. Use the former, the axiom implies, and you will happily chug away for a while. Use the latter and you’ll constantly be looking for things to throw on that fire. Wilson breaks down how to read labels too—something that’s trickier than it seems and that we all could and should be doing more of. 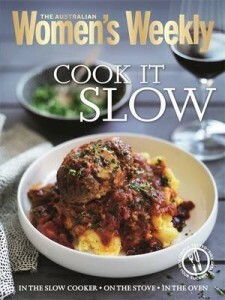 There are also some recipes that look tasty. Case in point, the Carrot Cake Porridge Whip. The green smoothie and grated salad options look good too. The underlying premise and overall takeaway from Wilson’s book is that it’s undeniable we’re eating too much sugar and it’s not affecting us well. Researchers have drawn links to heart disease, obesity, and cancer to name just a few ills. Can I be frank here? My research has led me to conclude that a meat-inclusive diet is more ethical, more environmentally sustainable and more nutritious per calorie intake than a grain- and legume-based one. In Australia, 22 times more animals are killed to produce the latter, through destruction of habitat to make room for agriculture. I realise she’s talking about her personal choice, but such vague statements as ‘my research’ don’t show what she researched and how. It’s also so vague it could easily be viewed as: ‘It doesn’t suit me, so I’ve decided that…’. Without sounding rude, I beg to differ. And so do such international, authoritative sources such as the United Nations (UN), which produced a seminal report back in 2006 outlining the devastating climate change-related effects cast by ‘livestock’s long shadow’. Essentially, livestock production and other forms of meat slash factory farming are an inefficient, resource-gobbling production model. A number of reports have suggested people starving and malnourished in developing nations could actually be properly fed if the world stopped growing grain for meat and instead distributed that grain more efficiently and equitably straight up. There are related issues with monoculture and pesticides used in said farming practices that are vastly affecting bee populations, AKA the lynchpins of food production. There are issues with land degradation, deforestation, and biodiversity decline. There are issues with the amount of water it takes to produce meat. There are issues with the use of antibiotics to help fatten up animals that are now leading scientists and doctors to prepare themselves for the very real and fast-approaching reality of a post-antibiotic world (that’s aside from the fact that the fattening elements that affect livestock are now being linked with the fattening of the people who consume said livestock). There are issues with pollution, with livestock slash factory farming considered one of the largest contributors to climate change through methane and more emissions (one estimate is 18%, but some reports put it higher). But I’m ranting, so I’ll instead direct you to this more articulate Slate article, which asks the question: What would happen if everyone in the world stopped eating meat? It links through to a bunch of research and reports that show a meat-based diet to be the antithesis sustainable, for starters. I’m not sure where Wilson got: ‘In Australia, 22 times more animals are killed to produce the latter, through destruction of habitat to make room for agriculture’. My guess is that making room for agriculture is related to making room for agriculture to grow crops to be fed to animals planned for dinner plates. 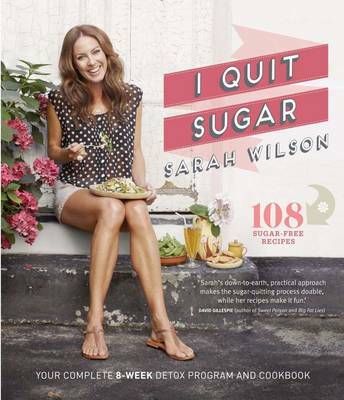 Regardless of where Wilson’s pulling figures from, to be blunt, I Quit Sugar For Life is a first-world book. And we’re living in an increasingly climate change-affected world where it’s no longer (if it ever was) ok to think only of developed nations. It’s why the UN and various other health organisations that look at world-wide issues rather than first-world ones have been flagging the notions of ‘peak meat’ and encouraging people to rethink their meat consumption and choose meat alternatives. It’s why environmental advocates such as Al Gore, who’ve dedicated their lives to looking into this stuff, have quietly gone about reducing—and sometimes eliminating—meat from their diets. I realise this is a little ranty, and I understand Wilson’s well-meaning—I really, truly do. 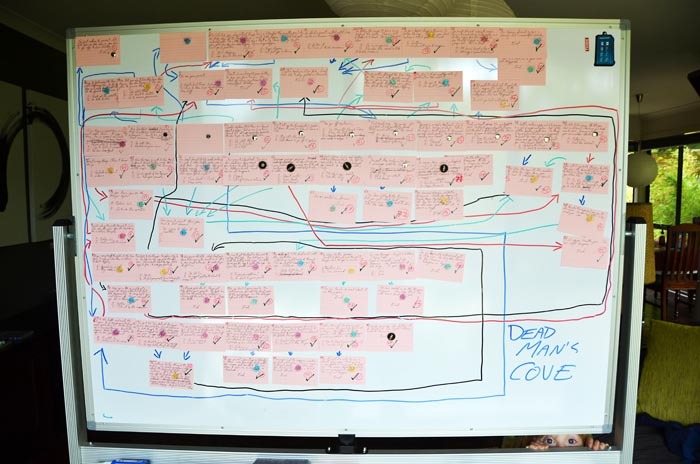 But I worry what kind of message Wilson’s book is sending. 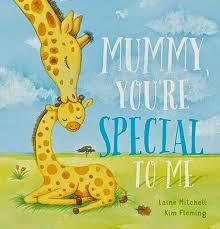 There are elements of her book that will help people (maybe me included). But I find the above stance concerning and the vague ‘research’ she uses to endorse it one I can’t stomach. I’m not yet sure if I’m allergic to fructose, but sadly Wilson’s book has made me determined find ways to determine that and reduce my sugar consumption on my own. I divide my time between Sydney, Australia, and Cawdor, Scotland. 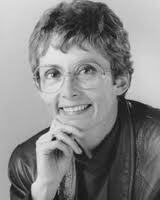 I wanted to be a ventriloquist, then a puppeteer, then a magician, then an actor, then a writer. I tried a few of the former, then found out that writing was for me! That is such a hard question. 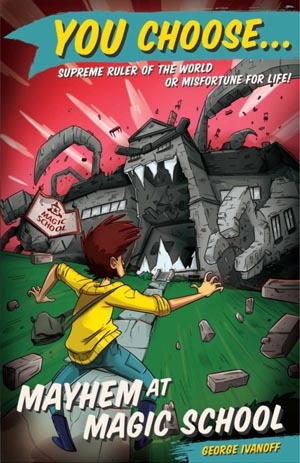 I’m happy with all the books I’ve had published. 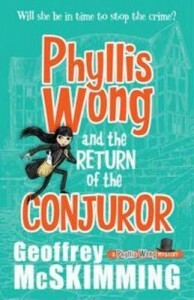 Phyllis Wong and the Return of the Conjuror is a personal favourite, though; Phyllis is such a clever girl and I loved transporting her (and me) back to Shakespeare’s time. I write sitting on an old, art deco lounge which once upon a time belonged to my grandmother. It’s a big, comfortable sofa and I can surround myself with cushions, my manuscript and notebooks, cups of coffee, pens and other things I need when I’m writing. I love reading old crime novels. I have a lot in our home library, some dating back to the 1920s. At the moment I’m finishing reading all the detective novels by Nicholas Blake (Cecil Day Lewis, the Poet Laureate and father of Daniel Day Lewis). The Illustrated Man by Ray Bradbury; Something Wicked This Way Comes by Ray Bradbury; The Three Investigators series of novels; The Lion, the Witch and the Wardrobe by C S Lewis; Travels with a Gherkin by Justine van Orgling. Cairo Jim. Because after writing 19 books in which he appears I have come to know him very well. 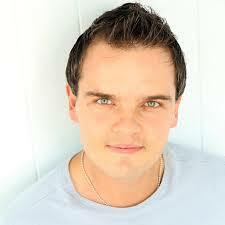 Dream up plots for stories … and watch my favourite magician doing magic .. 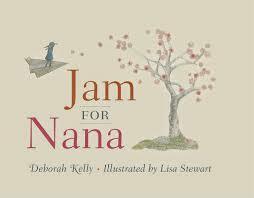 When picture books have the ability to make your heart beat a little faster, fill your eyes with tears and send your spirits soaring. When they effortlessly harness thoughts and project feelings with poignant clarity; to say they are exceptional seems woefully insufficient. 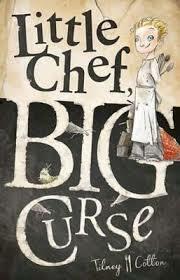 Rare are the picture books that can fit this bill, yet Margaret Wild has little trouble doing so. 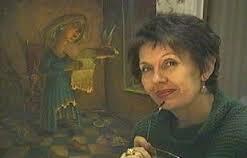 The Stone Lion is her newest picture book with Ritva Voutila (mums with school aged kids may recognise her unique art from the dozens of Storylands Early Readers). The austere cover and title leave little doubt as to the subject matter but the subtle beauty of the regal, maned lion crouching upon his engraved stone pedestal (you can really feel it), spur the need to know more about him. 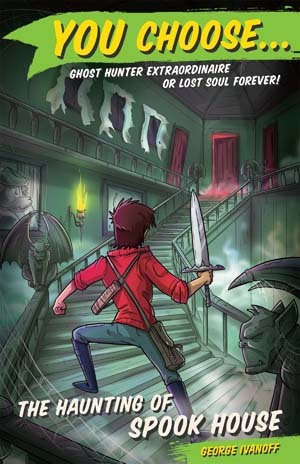 Wild cleverly chisels out a tale of unlikely heroes (the stone lion) and unseemly characters (homeless youths, librarians and gargoyles). There is also the subtle persuasion that hope is determined by the passing of time as shown by the illustrations of swirling leaves, fleeing birds and umbrellas adrift. The magnificent stone lion statue stationed outside the library dreams of a life more animated if only so he can ‘pounce and prowl and leap’. 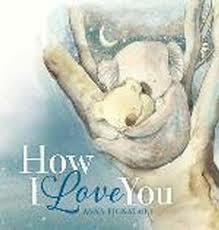 But one fateful snowy night, he is forced to re-evaluate his own desires when a baby is abandoned at his paws. Ritva Voutilda’s beautiful, muted pastel illustrations mirror both the stone lion’s cold forlorn heart and the kernel of hope that beats within us all. 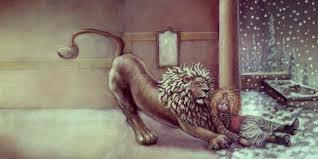 Miracles are easy to believe when they result in great change as The Stone Lion so ably demonstrates. Using unadorned yet intensely sensitive language, Wild makes us feel something real for something which is unable to feel yet wants to in an incredible allegory about wanting more, accepting less and understanding the power of benevolence. 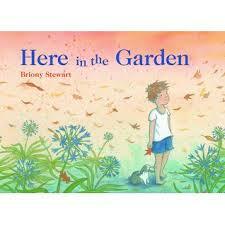 This is not a picture book brimming with rainbows and lollypops, and sunshine and happiness. But it does sing with a clear purity of heart that kindness is indeed its own reward. 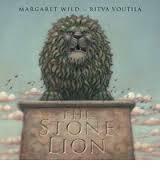 The Stone Lion is a picture book older readers will enjoy for its touching and profound celebration of humility. John Harvey has written a superb final case for the enduring and never weary (ok, just a little weary) detective Charlie Resnick. It has been a while between drinks and the way Cold In Hand finished a few years ago had me thinking that might have been the last we’d seen of Resnick. However John Harvey had other ideas and gives Resnick one last hurrah. Now retired Charlie Resnick is still involved with the job he loves, and can’t get away from, assisting with witness statements and other administrative work. However when a body from thirty years ago is unearthed during some excavation work Charlie is asked to lend his expertise. Thirty years before and at the height of the miners’ strikes Jenny Hardwick disappeared. Jenny was heavily involved in the strike movement however her husband refused to stop work in the local mine. 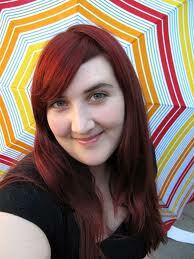 Rumour had it she had run off with another man. Her disappearance only raised small suspicions and a limited investigation. 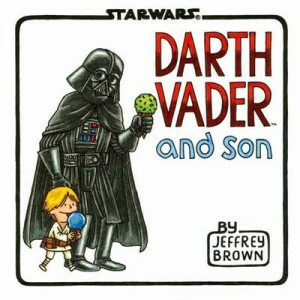 Until now, thirty years later. 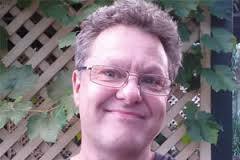 Resnick was heavily involved with the police action at the time, police action which is now under the microscope. Command wants the case cleared up as quickly and as quietly as possible. However with the trail of evidence and witnesses buried in the past questions are only going to open old wounds. John Harvey’s mastery is on full display as he crafts together not only an intricate and intriguing murder mystery but also a look back at the social powder keg that the miners’ strike was. Not only on a national scale but for a small town and within a marriage. Charlie Resnick gets the farewell he and his fans deserve and if you haven’t encountered him before I implore you to go back and read one of the best crime series ever written by an author who continues to get better and better. Posted on May 18, 2014 April 14, 2014 Author Jon PageCategories Book Reviews - FictionTags Books, charlie resnick, Crime Fiction, fiction, john harvey, miners' strike, Nottinghamshire. 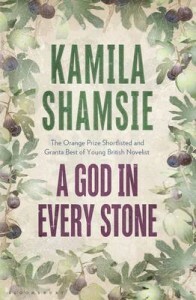 We love A God In Every Stone by Kamila Shamsie so much we want to give copies of the book away. 1914 and a soldier is returning from Ypres to his home in Pakistan. His loyalty to Britain is about to be challenged. Also in 1914 a young English woman is following an interest in archaeology and travelling in Peshawar. She too is about to have her views challenged, Both of these people, in their own way question the very different societies they live in. Where do your loyalties lie? To your own country rather than another? To your family? To God? To yourself? The first 15 people who purchase a copy of Kamila Shamsie’s A God In Every Stone we will get a 2nd copy for free to give to a friend, family member, neighbour or whoever they want! We know you are going to love this book just as much as we did and we want you to help us share the joy of such a great read. 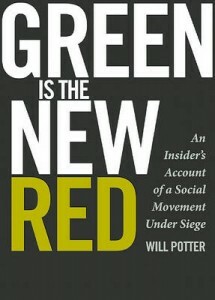 I reviewed Will Potter’s Green Is The New Red—a book not about fashion, but perceived terrorism as the new communism kind of fear-inducing threat—for an environmental publication around 12 months ago. At the time, although the Queensland government was reaping horrors, the federal changeover was yet to happen. The dystopian American society Potter describes in his book in which activists rather than factory farmers perpetrating stomach-churning cruelty were punished was, though increasingly something I could almost imagine, wasn’t something I could entirely grasp. Fast forward a year and with a federal government happily condemning the Barrier Reef and the Tasmanian national heritage old-growth forests and just about everything in between to certain death and, well, let’s just say that dystopian near-reality has become an uncanny, terrifyingly realistic one to which I can relate. 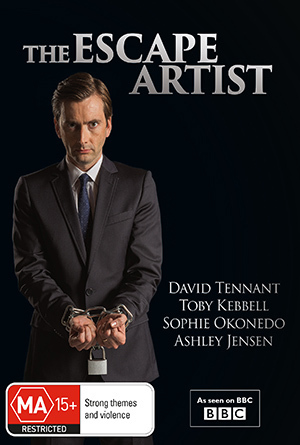 Potter was just in Australia courtesy of Voiceless, giving talks about the terrifying US-proposed ag-gag laws his book documents (hence the re-piquing of my interest in his book). Those laws essentially prosecute not those who perpetrate shocking cruelty on animals in factory farm or abattoir settings, but those who expose it. Say, for example, if you or I were to film someone beating a dog to death in a puppy farm, we—rather than the puppy farm—could see ourselves up on charges. It would be easy to mistake Green Is The New Red for a conspiracy-theory manifesto (as I did) or fashion bible (as my friend did), but that’s to do it a disservice. Though left leaning, former Chicago Tribune reporter Potter is far from off-the-grid radical, and he approaches the book with investigative objectivity and vigour. Potter is reportedly being monitored by the US Counter-Terrorism unit and is, simultaneously (and somewhat cognitive dissonancely), a 2014 TED Fellow. It’s that tension and head-scratching puzzlement that makes him and his book intriguing. Potter’s motivation is getting to the fact-based heart of a matter. It just happens that the facts don’t show agriculturalists, their governing bodies, and those who make and implement policies to be behaving in a particularly ethical, conscionable way. We enter Green Is The New Red mid-story, on the eve of environmental activist Daniel McGowan’s sentencing for ‘eco-terrorist’ crimes (and yes, I use those inverted commas deliberately). Potter then outlines his own brush with the law, having been paid a threat-filled visit and been added to a watch list by the FBI for—wait for it—handing out leaflets. 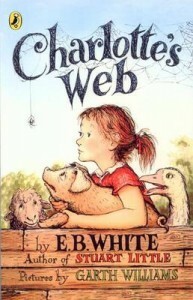 Green Is The New Red’s truths beggar belief—Charlotte’s Web and Hoot can, it seems, be considered ‘soft core eco-terrorism for kids’—but Potter’s approach is compelling. 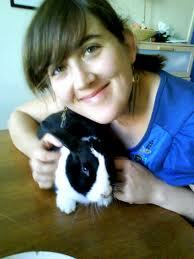 His thesis is laws are being wrangled for not good (ag-gag laws, anyone?) and largely non-violent activists are being rebranded and sullied through language use as ‘militants’, ‘extremists’, and ‘domestic terrorists’. Switch ‘terrorist’ for ‘communist’, ‘Green Scare’ for ‘Red Scare’, he writes, and you have post-9/11 terrorism laws being applied liberally and aggressively to silence environmental and animal activists. The temptation with the things Potter outlines is to dismiss them as being only in America. The issue is they’re fast also in Australia—one of our own politicians said environmental activists were ‘akin to terrorists’. While the world despairs and expresses its dismay (and B Corporation Ben & Jerry’s takes one of its most popular, aquatic-themed ice creams off the shelf in protest), Queensland Premier Campbell Newman essentially signed the Barrier Reef’s death warrant by greenlighting destructive mining projects and declaring Queensland ‘open for [coal] business’. Green Is The New Red contains contentious subject matter, yes, but it’s delivered in means that are straightforwardly readable and not without some gallows humour about smuggling files into prison via vegan cinnamon buns. During his Voiceless talk, Potter also showed a flawed anti-activist ad the opposition came up with that depicts an animal rights activists wearing a, er, leather jacket. Potter’s dystopian present and its attendant legislative horrors might be a little much to take in—I know it was for me then and somewhat continues to be now—but it at the very least warrants further research. He wrapped up his presentation with a quote I’m paraphrasing here but that has continued to stick with me: ‘The reason activists are a threat isn’t because they’re breaking windows. It’s because they’re creating them.’ With the Australian federal government handing down a big-business-wins-no-one-else-does budget last night, something tells me that quote will continue to come the fore. Dennis Tafoya is one the best kept secrets in crime fiction. Which is a shame because he deserves to be heralded in the same breath as George Pelecanos and Dennis Lehane. And his new novel only confirms this, in spades. Frannie Mullen is a US Marshall. After a bungled operation she takes full responsibility for any mistakes that were made and quits her job. As she tries to sort out her life and help her sister recover from another round of rehab, the father she thought was long out of her life returns. Her father, Patrick Mullen, was a thug and enforcer for a local trade union whose violent job was also part of a violent life at home. Now on the run from prison Patrick cuts a violent path toward his two daughters. Looking for revenge, but revenge for what and for whom is a very long list. Tafoya’s action scenes are simply sublime, in particular the opening scene of the novel. 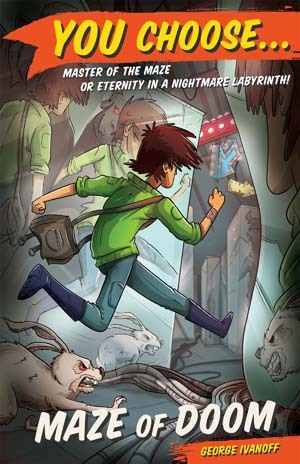 But what really sets Tafoya apart from the pack is the heart he brings to his stories and his characters which he does once again here. Emotion is what drives people and that is what is at the core of this brilliant novel. The emotions that drive us and the damage they do along the way. Tafoya captures this brilliantly in a fast-moving, intense page-turner that will keep you totally gripped and double guessing right until the final pages.